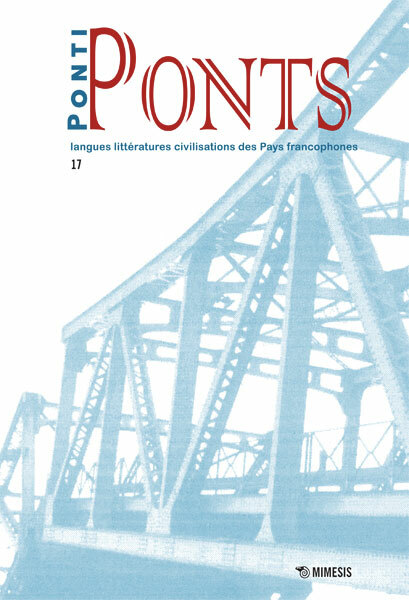 Ponti / Ponts is a peer-reviewed open access journal of Francophone cultures: from Quebec and Canada to sub-Saharan Africa, from Belgium to the Caribbean, from Maghreb to Switzerland and Valle d'Aosta, to the other French-speaking areas all over the world, the entire Francophonie is concerned. Each issue of the journal, which appears once a year, presents critical studies, unpublished texts, and a vast repertoire of reading notes concerning the linguistic, literary and cultural works of the different French-speaking countries. Critical essays and creative texts are put together in a thematic section, which may also include linguistic studies; these can also relate to free subjects.